Happy 2014 everyone! 2013 was an incredible year for me and my little family. We had our share of ups and downs, but truly felt blessed throughout the journey. We started the year serving at the Passion conference and ended the year at Disney World. We experienced a tough summer with some health issues and tight finances, but had an incredible fall and winter filled with near constant reminders of God’s faithfulness. 1. Run a Half Marathon – The year started strong, then I slacked off, then I started strong again, but ultimately a slight injury to my left foot kept me from that half marathon. But I’ve got one in my sights for February, so this goal will be extended a bit. 2. Innovation as a professional every month – I believe with one or two exceptions this goal was accomplished every month. Even when I wasn’t being innovative at my paid job, I still found ways to grow myself as a professional. 3. Read 24 books: It was about 11:30pm on December 31st when I finished the last page of book number 24, but I did it! 24 books read this year. 4. Get Biscuit certified as a therapy dog Check! Accomplished this goal, with the help of Biscuit of course! He’s starting 2014 as a therapy dog! 5. Encourage two people a month with a handwritten note I did not accomplish this goal this year. I think I would have done better if I gave myself a yearly total and not a monthly, because it was discouraging to get behind. 6. Write 60 blog posts I exceeded this goal: 65 posts total for the year! I’ve really seen my writing strengthen as well, it’s been a good year for this goal. 7. Get to know people who different from me I feel like this goal was accomplished as I saw community grow throughout the year in many ways. 8. Enter into a mentoring relationship I feel like this goal has been accomplished. Most importantly, this year I’ve learned the value of relationships with older women. It’s been a great year for this and I hope I continue this habit. 9. Pay the car off – Well, we ended the year with less debt than we started, but paying the car off did not happen. So partially accomplished, but not in the way I thought. Shooting to get this done next year. 10. Increase my political activity- first name basis with elected officials – This goal has been accomplished, but I’ll pick back up in January to keep these relationships going. 11. Publish a professional article (or at least write one)– This goal didn’t happen either, I just simply ran out of time and the circumstances weren’t ideal to get this done. 12. Memorize the book of Philippians – This goal also didn’t happen simply due to busyness and a lack of discipline if I’m to be completely honest. 13. Love my husband in a new way every month – There were a couple months where I was stretching it, but I feel like I was able to find new ways to love my husband each month. It was a good year for our relationship, even with our ups and downs. So there you have it. The final tally of all 13 goals: 8 accomplished, 2 postponed due to circumstances beyond my control, and 3 not accomplished due to busyness and/or lack of discipline. I’m ending the year feeling pretty content though, for a first year of tracking goal progress I’m proud of what has happened. I have a new set of tasks for 2014: a “30 by 30” list. I don’t think I’ll update my progress monthly on this blog but I’ll do updates in some form. I love setting goals and I’m so glad I was able to work towards these accomplishments this year. Thanks for following along! 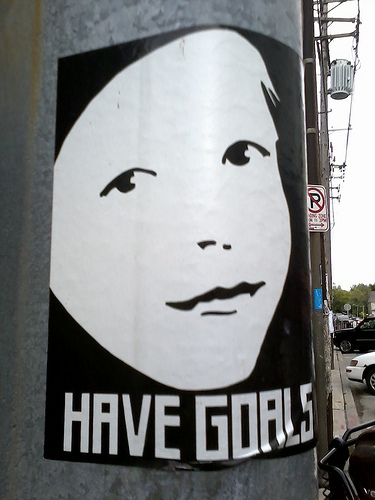 What are your 2014 goals? Any plans for this new year? What images come to mind when you read that word? Dirty? Disheveled? Unkempt? Mismatched? Out of place? Worn and torn? Whatever comes to mind, it probably involves something that is less than perfect, less than ideal. It is probably something that would not be considered beautiful. When I think of ragamuffin I think of the late Brennan Manning. Manning was a priest, author, and called himself a ragamuffin. He was an example of grace and second chances. He was an alcoholic who struggled with his flesh, sometimes very openly. But regardless of his struggles, he loved Jesus. He loved his Abba, and he was painfully aware of God’s grace. His writings were raw; the stories he told clearly came from a long life filled with both joy and pain. And I’ve heard that his relationship with his ‘Abba’ was intoxicating and contagious. I wish I could have met him. My high school youth pastor first introduced me to Manning’s work. I tore through “Ragamuffin Gospel” as a naïve, sheltered and judgmental 16-year-old girl. It was unlike anything I had ever read. I was raised in the church and was there nearly every time the doors opened. My church was grace focused but along the way somehow I missed the truth of the radical, unrelenting, beautiful grace that Manning wrote about. A father who runs to us despite our shortcomings. a father who forgives and loves despite our sins and prodigal natures. That book began a journey for me- a journey that I’m still taking to this very day. I was salvation based but much of my worth came from my works. I judged others whose deeds were not as ‘good’ as mine or whose sins were ‘worse’ than mine. Manning wrote with such passion for the holy grace that God gives us. It has nothing to do with what we do, but rather who we are- Abba’s Children. I just finished reading Manning’s final work- Prodigal. Tears sprang to my eyes as I read the story of Jack Chisholm. He was the ‘people’s pastor’ of a nondescript but all too familiar megachurch in the United States. He fell from fame because of one fateful night. Everything fell apart, leading Jack on a journey of true grace. I won’t ruin the entire plot for you, but it’s an incredible story of forgiveness and redemption. We all fall from grace; we all do things to miss the mark. We hurt each other, we hurt ourselves, and we drift away from the grace filled life God has for us. We all do it, but the church tends to cast judgment on others. Like I mentioned previously, we judge others whose sins are deemed ‘worse’ than our own. But we are all ragamuffins. We all mess up. All of our shortcomings are the same. We judge others while hiding our own sin and pride. (Well maybe you don’t, but I know I sure have). But our shortcomings are there, and they aren’t perfect, they’re rags. Friends, none of us are perfect. But it doesn’t matter what you’ve done, it matters who you are. You are a child of Abba- our heavenly father. He doesn’t hold your sins up against you. He doesn’t weigh your good against your bad to make sure you are heavier on the ‘good’ side. His arms are open wide for anyone who wants to sit in his perfect grace. Rest in that grace today friends. There is nothing more beautiful than Abba’s love and grace. For the past several years I’ve heard the term ‘war on Christmas’ tossed around. Shoppers are offended that store clerks wish them a “Happy Holidays” instead of Merry Christmas. People are up in arms about keeping “Christ in Christmas” while wracking up the credit card debt to buy numerous presents. I’ve written about the culture wars in our society before, and the “war on Christmas” is yet another battle within this nasty culture war. But guess what? I don’t really understand the up in arms about this so called ‘war on Christmas’. Christmas happened, no one can take its truth away from us. And the Christmas we celebrate in the United States really isn’t a reflection of the way Jesus probably would want his birthday celebrated. We are stressed during the holidays. We spend too much money buying way too many obligatory gifts for too many people. We run from place to place, push through crowds of people and are generally in such a rush that we can miss out on the truly important things in life. And in the midst of the chaos, we get mad at the over worked, underpaid store clerk who doesn’t wish us a Merry Christmas. To be perfectly honest, I don’t want the word Christmas to be associated with the chaos in the malls and the billions of dollars spent on excess and materialism. As a Christian I don’t want to force my holiday on the Jews, Muslims and Hindus that live in the United States. They don’t force their holidays on me, so I shouldn’t force it on them. This pettiness is not what Christmas is all about. But before you call me a scrooge and roll your eyes at me, let me tell you what I think Christmas is really about. Christmas is about the birth of a little baby who grew up to save us all. He lived a life in poverty and healed the sick. He raised the poor up and was a rebel against the ruling authorities of the day. He made statements that flew in the face of human nature and gave his life for us. He gave the ultimate gift. Christmas is about Jesus. Jesus, who loved the outcasts and the sinners. Christmas is about spending time with the people we love. It’s when we take the blinders off and look around at the people who are hurting in our world. It’s about giving gifts that give back- things that truly matter. It’s about serving the poor and being sensitive to the needs of the brokenhearted. I hope we can focus on the eternal things of Christmas. I’m not saying that we shouldn’t buy gifts for the ones we love (Gift giving is my love language so I spend plenty of time planning those perfect gifts for family). 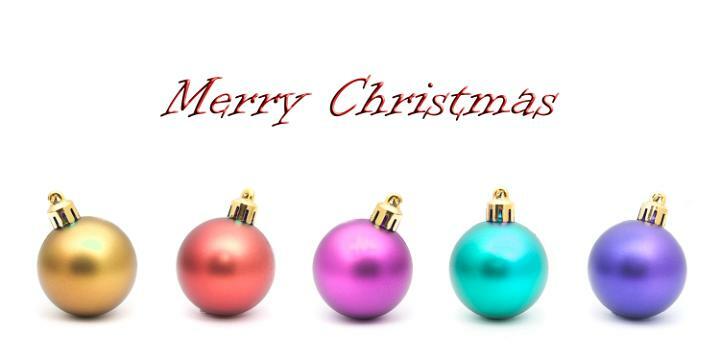 I am saying that the gifts, the shopping, the spending shouldn’t be our focus. I’m trying to personally take time over these next couple days to sit and be still before God, thinking about that beautiful holy night thousands of years ago. I’m going to read the scriptures and think about Jesus. I’m going to look for more opportunities to serve others. I’m going to reach out to friends who are hurting to make sure they know that I care. These are things we should be doing all the time, but the holiday season is a great time to start this habit. I’m certainly not perfect at all of this, but I’m trying. My heart has been heavy for the hurting this season and my mutiny against excess has me frequently thinking about people who are in need. Much of this season has flown by, but there are still a few days left to turn this holiday season around to where it focuses on the things that truly matter. What are you doing to keep the focus on the truth of Christmas this holiday season? I love the Advent season. It’s such a beautiful time of reflection as we remember the coming of Jesus two thousand years ago. I love to remember the birth of Jesus. I love to think about that night so long ago. It probably wasn’t nearly as shiny and pretty as our nativity scenes. It probably wasn’t very silent, but it was perfect. It was the perfect picture of grace. Advent is also about waiting. 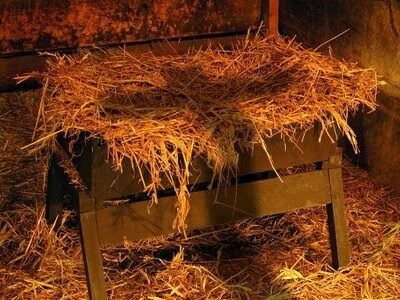 It’s a few weeks of observing that period of anticipation of the coming of Jesus. Jesus came as a baby, and he’s coming again soon. He completed the story that God crafted from the beginning of time. 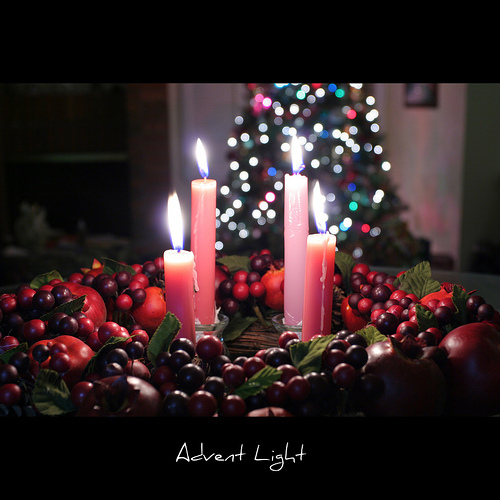 The Christmas season, the season of Advent, is a beautiful time to remember and to wait. Advent is a time of anticipation and waiting, but this season can also bring pain as we wait for times of peace or remember loved ones who are no longer with us. Or maybe money is tight and you don’t know how to explain to the kids about the lack of presents this year. Maybe you are far from home and feel alone. Maybe you’re struggling with a diagnosis or a deep loss. Just remember that in this season, there is grace. There’s grace in the waiting. God has given so much grace to us and loves YOU so very deeply. He is there in the storm, and he’s there in the quiet season of waiting. Rest in the grace of God this season. Take quiet pauses to remember the coming of our Lord. And if you are going through a storm this season, remember that Jesus is right there with you. The tiny baby in a manger that we will celebrate in a couple short weeks is the creator of the universe, died for you, and is now walking this journey with you. 1. Run a Half Marathon – I’ve started running again and am preparing for a half marathon in February. The half isn’t happening this year but I’m still going to work towards this goal! 2. Innovation as a professional every month – November was pretty good for this goal. I still feel like my new job is full of innovation, so there were a lot of ‘firsts’ for me this month. Nothing very specific, just a lot of new, innovative tasks and duties. 3. Read 24 books: Well, November was another month of major busyness. Still at 15 books. However, don’t count me out just yet. December will be busy but I’m going on vacation and won’t have any grading to do so I just might be able to get those last few books read before the end of the year! Look at my handsome therapy dog. So proud! 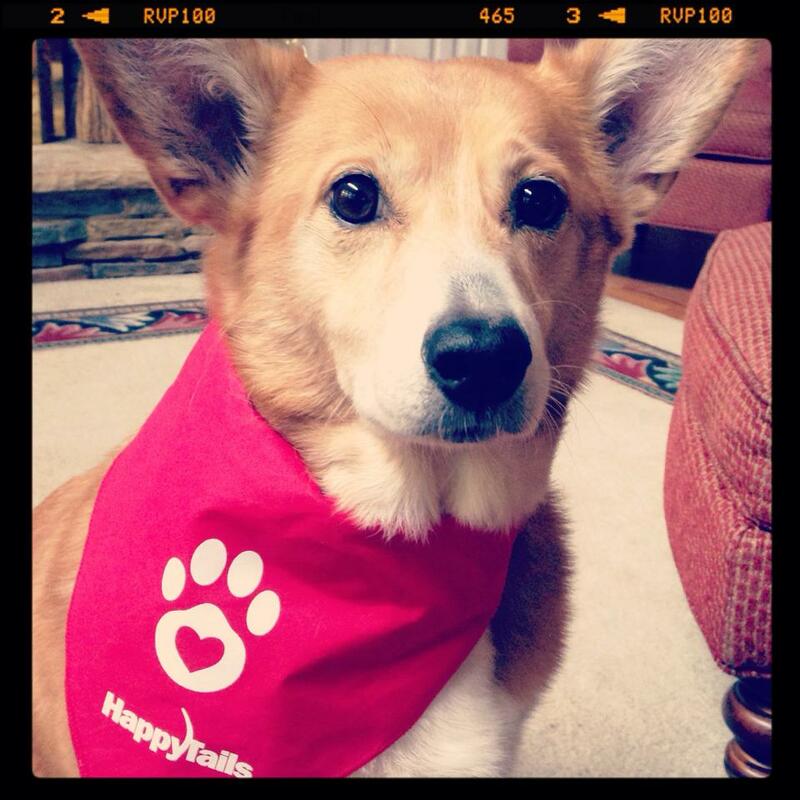 certified therapy dog with Happy Tails Pet Therapy! I’m such a proud dog-mom, it’s a bit ridiculous. We’ll join a team early next year. 5. Encourage two people a month with a handwritten note Came excuse as before, just too much busyness. But if I’m allowing myself to play catch up there is still time in December! 6. Write 60 blog posts Four posts on this blog and one original on the Church4Chicks blog. I’m at 59 original posts this year, which means that I’ll definitely meet this goal. 7. Get to know people who different from me For awhile I didn’t think I would meet this goal, but now I’m realizing that there have been many opportunities to meet and get to know people from all walks of life. It’s been a good year. 8. Enter into a mentoring relationship I feel like this goal has been accomplished. Most importantly, this year I’ve learned the value of relationships with older women. It’s incredible the wisdom that I’ve gained from these conversations. I also heard about a new mentoring opportunity next year at my church and am hoping to continue this practice into the next year. 9. Pay the car off – I mentioned last month that God changed my plans on this one. We’ve paid off a chunk of other debt and are working towards getting this goal accomplished next year. 11. Publish a professional article (or at least write one)– So I may just have to put this one in the books as a no go. I just don’t think it’s going to happen. We made headway then work and life got in the way. I did make progress in my writing as I’m regularly contributing to a new blog, so that’s some progress, just not what I thought when I started writing this goal. 12. Memorize the book of Philippians – I didn’t do anything with this goal this month. I don’t think it’s going to happen. It’s been mostly a lack of discipline on my end but memorizing the chunks of scripture was more difficult than I thought. 13. Love my husband in a new way every month – This month I focused on encouragement. Brent’s semester was winding down and I spent a good bit of time proofreading papers and encouraging him as he finished his last semester in school. I’m amazed at how this year has flown by. I can’t believe it’s December. I have one month left to finish up some of these goals but I’m pretty proud that I’ve been making headway on most of them this year. I have learned a lot about myself and about the things I truly care about. I think the word this month is workload. Sometimes you can prioritize personal goals but on occasions other commitments and life get in the way. I definitely had moments of feeling overwhelmed with work and all my commitments this month and wasn’t able to focus on my goals. I’m thinking about my workload for next year and how I can balance everything. So how about you? The year is almost over, how have you progressed with goals and resolutions you made earlier in the year?